through the mail as a bonus track!! THE FAMILY THAT PRAYS AND PRAISES TOGETHER. 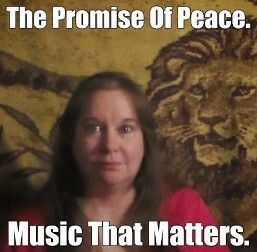 We are "The Promise Of Peace" A Christian family who write and produce their own inspired music. 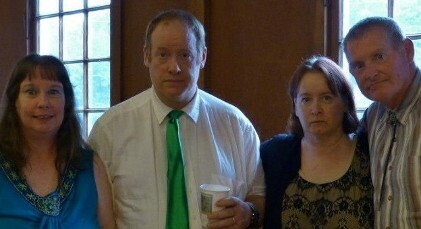 We are Randy Ranstrom,Karen Campbell and Rene'Lenz.Two song-writing sisters and one very talented,lone musician brother,who arranges and performs all our music.We can be heard in iTunes,Youtube ,Google, and many other places online.Our sound is a little old fashioned,but never out of style.People of all ages appreciate our music. This is amazing to us , because we are almost senior citizens!! 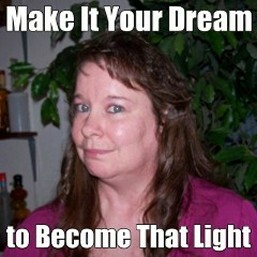 Lead singer,Rene'Lenz has been nick-named The Karaoke Granny, because of her many Karaoke performances.We sing at church,weddings,memorials,senior residences, etc. Rene' recently had a cancer scare and had to have surgery.She was told it may damage her voice.Her brother,Randy helped her to record all of her songs prior to surgery ,so she could live her dream of becoming a recording artist. 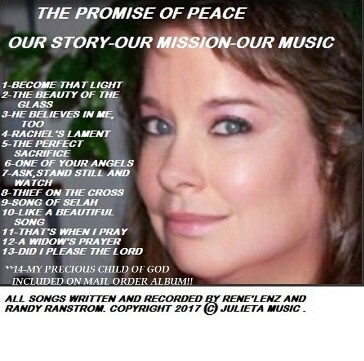 The LORD spared her voice, so she is still able to sing and has written and recorded many new songs since the surgery. Listed on this home page is some Youtube links for our newest singles, CD Baby links,and if you would like to order a CD through mail order,P.O. box instructions below the album. Thank you so much for the visit, and please visit our Youtube and become a subscriber. 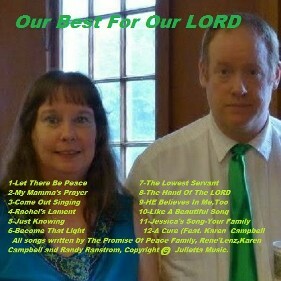 "Our Best For Our LORD"
Our 12 best songs now available on CD ,through mail order!! :Now available for download AND through mail order. 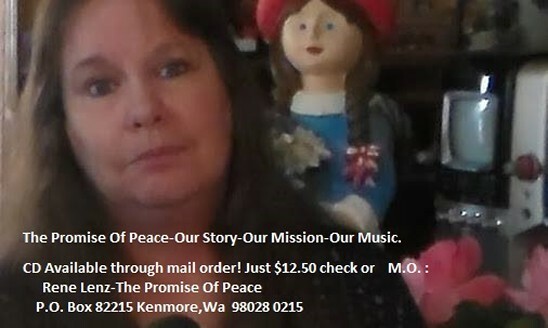 Cd Baby links follow album.Our P.O.Box Address below listings, to order our CD albums through the mail.$12.50 each.Specify which album. 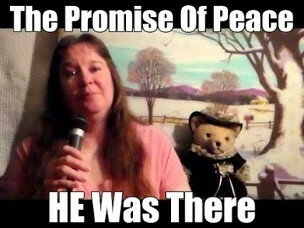 Thank you for visiting our Website.The Promise Of Peace.